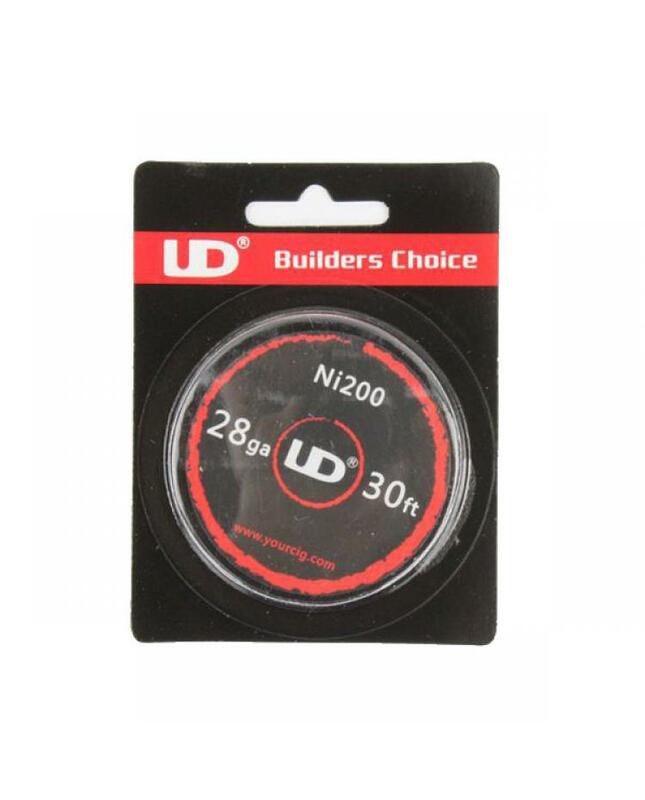 UD nickel NI200 vapor cigs wire, 26GA/28GA/30GA/32GA/34GA avaliable, 30ft per reel, suit for vapors built your own coils for RDAs and RTAs. the nickel vape wire is a better choice for temperature controlled output devices, simultaneously working with mechanical mod and regular wattage output vape gears. NI200 is nickel metal alloy that known for its excellent electrical, thermal, magneto-restrictive properties. designed for the customizable vape.